ListitDrones.com Free Drone Classified Ad Pages! 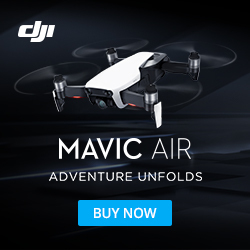 Welcome - Buy, Sell or Lease Your Drone Here! We'll help you sell your Drone, and best of all our service is FREE! That's right FREE! It just doesn't get any better than this. Just click on the link on the left and it will take you to our FREE Classifieds where you can build your own FREE, Ad! We also provide featured paid ads on our home page and Drone inventory ads on individual pages within this site. To purchase featured or inventory ads please email us on our Contacts Page. We Can Assist You With Your Drones Needs! ListitDrones.com is the easiest and most effective way to give your listing maximum exposure to buyers. Just sign up for free on our Contacts Page and we'll contact you for your Drone information. Our partner knows the ends and outs of Drone purchasing. He will assist you in purchasing your Drone, with all the right equipment, and just when you need it delivered! Drone leasing has almost become the leading avenue for Drone acquisition. Contact us today for great deals on leasing your next Drone.